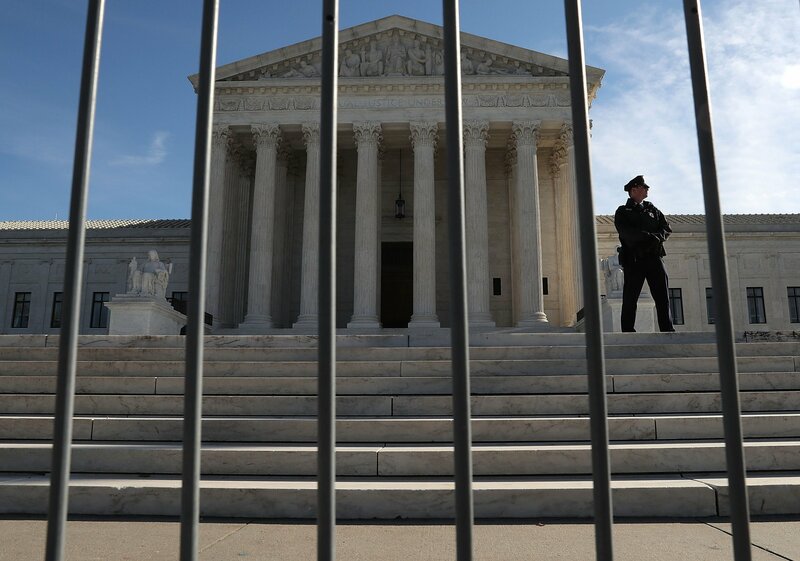 The Supreme Court ruled Tuesday that immigrants with criminal records can be detained by Immigration and Customs Enforcement years, or even decades, after being released from prison. The 5-4 vote, with conservative justices in the majority, means ICE can continue applying mandatory detention not just to noncitizens who recently served prison sentences but to thousands of immigrants who no longer have any legal issues—many of whom are detained for years before eventually prevailing in deportation proceedings. The issue, according to the American Civil Liberties Union, boils down to the definition of the word when in a 1996 federal law. “We contended that the statute says that ICE can apply mandatory immigration detention ‘when the alien is released’ from criminal custody. And the government wanted the court to read those words—’when the alien is released’—to mean any time after the alien is released,” ACLU Deputy Legal Director Cecillia Wang, who argued the case, told Newsweek. “It was very clear from the plain language of the statute, from the structure of the statute and the history of the legislation that when Congress said when they meant when, not if or any time after,” she said. The court’s ruling in favor of the government’s current approach could affect thousands of immigrants, Wang estimated. In 2013, permanent resident Astrid Morataya, who came to the U.S. as an 8-year-old, was one of those people. She was convicted of drug-related offenses while a victim of sexual abuse in the late 1990s. But it wasn’t until 15 years later that the now-mother of three U.S. citizen children was detained by ICE for two-and-a-half years before being released. One man, Santos Cid-Rodriguez, was convicted of misdemeanor drug possession but wasn’t detained by ICE until 14 years later, when he was a father of four and manager of a New York bodega. He, too, spent months in detention before being released. For now, Wang said, the ACLU will continue trying to limit mandatory detention through future litigation and legislation changes.